Much to the excitement of retro gaming fans, Square Enix has announced that they've been working on a modern remake of Secret of Mana, one of the most fan-beloved RPGs of the 16-bit era. However, not every PlayStation 4 or PS Vita owner is well-versed on the history of the title, to say nothing of the origin of the Seiken Densetsu series that it spawned from. The Mana series has a rich and varied history, and for all the fans who wish to learn more about the classic RPG franchise, we've got the essential information featured below. The first thing players should know about the Mana series is that it's known in Japan as the Seiken Densetsu series. Secret of Mana was originally titled Seiken Densetsu 2; it was the second entry to the series and the sequel to Seiken Densetsu: Final Fantasy Gaiden, a title that was released as Final Fantasy Adventure for the Game Boy and later as Final Fantasy Mystic Quest for the Super Nintendo Entertainment System. The Seiken Densetsu series originally had very close ties to the Final Fantasy series: in fact, it was designed as a side-story type of title for the entire Final Fantasy franchise. This is especially obvious when playing Adventure or Mystic Quest, as the games are billed as Final Fantasy titles but share little in common with other entries to the main series. The development team at Squaresoft broke away from its Final Fantasy roots with the release of Secret of Mana, however, and the game's success allowed the Mana series to grow into its own unique brand. Fans may not be too familiar with Seiken Densetsu 3, the third entry to the Mana series, as it was only ever release in Japan. However, most of the games that followed were released globally: the fourth game to release was Legend of Mana, the 1999 PlayStation RPG that was originally titled Seiken Densetsu: Legend of Mana; the fifth release was Sword of Mana, which launched for the Game Boy Advance in 2003; the fifth, Children of Mana, landed on the Nintendo DS in 2006, while the fourth mainline Seiken Densetsu title, Dawn of Mana, released for the PlayStation 2 in Western territories back in 2007. The Mana series has seen two unique releases sense then: Heroes of Mana landed on the Nintendo DS in 2007, and Rise of Mana hit iOS and Android devices in 2014. 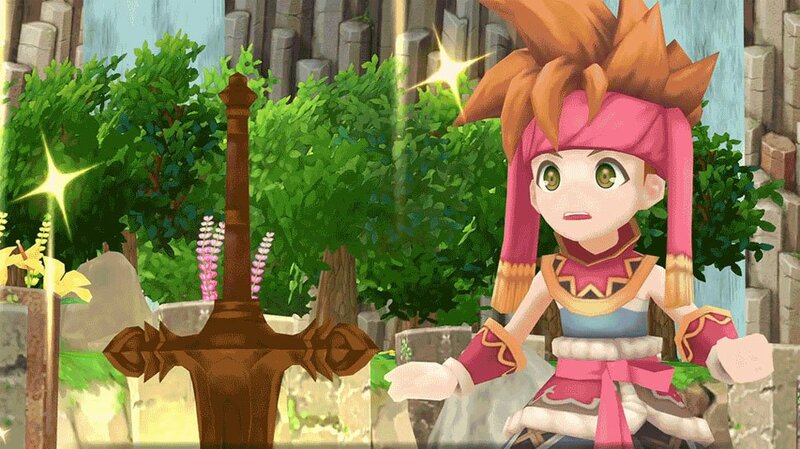 Square Enix also remade Final Fantasy Adventure for mobile devices in 2016 as Adventures of Mana, giving players a fresh look at the origins of the series, and the company packed the first three games in the series into the Japan-exclusive Seiken Densetsu Collection that released earlier this year. Secret of Mana has become a fan-favorite game for a reason: it has a perfect 16-bit style and a delightfully-quick real-time battles. It tells the story of a young boy who falls into a lake and happens upon an old sword embedded in a stone. The boy pulls the blade from its ancient slumber, which inadventertently releases a host of monsters into the realm. Banished from his hometown for the deed, the child soon encounters a knight who aids the boy on a fabled quest to energize the sword and banish the monsters for good. Unlike Final Fantasy games, Secret of Mana placed its adversaries onto the overworld, and players could choose to avoid them at their disrection. Likewise, players weren't drawn into turn-based battles, and were instead presented with the option to swing their swords and use items in real time. All actions made use of a Power Bar, a slowly-recharging meter that determined how much damage could be delivered at any given time, and powerful special attacks became available once a fighter's weapons had been upgraded. 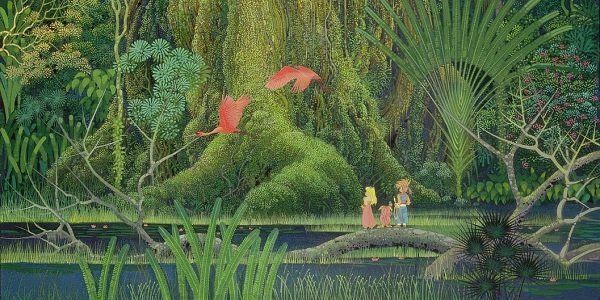 Secret of Mana was directed by Koichi Ishii, the same man who created Final Fantasy Adventure, and featured artwork from the talented Hiroo Isono. Additionally, the game featured music composed by Hiroki Kikuta, who would go on to pen the scores for Koudelka, Shining Hearts, and Soul Calibur V. It was received very well by critics, earning 33 out of 40 points from Japanese publication Famitsu, with most praise being directed toward the game's graphics, music, and multiplayer gameplay. Square Enix's latest effort toward Secret of Mana goes beyond simply releasing a new port of the title: the game will be completely remade from top to bottom, introducing new 3D graphics, full voice acting, special new arrangements of the game's soundtrack, and gameplay enhancements to make the title smoother to play and more accessible for modern gamers. What the company has specifically planned for the title remains unknown, but Square Enix has provided a trailer for the remake, which can be seen above, to give players a taste of what to expect from the new version. Beyond that, we also know that it won't be releasing for any Nintendo systems: only Steam, PlayStation 4, and PlayStation Vita editions are slated to release so far. 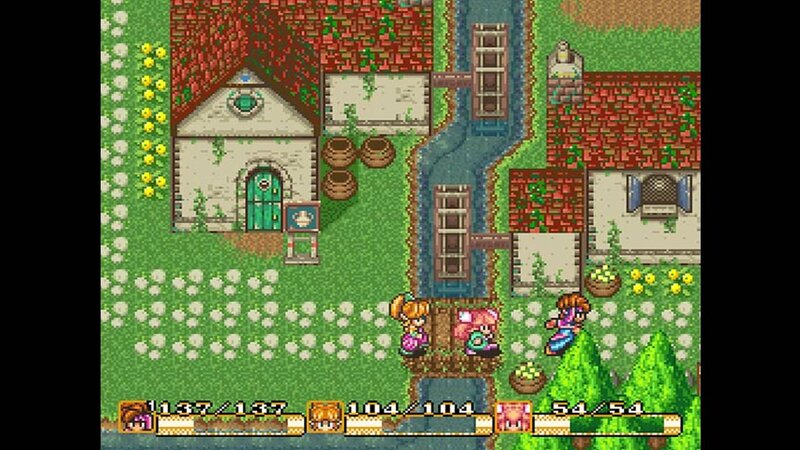 Secret of Mana is going to be a rare treat for RPG gamers with a taste for handheld action, and we've got other great portable adventures featured on our list of the Best Handheld RPGs.